Long-term athlete development (LTAD) represents a big shift in the way sport is delivered. But what is it and should you be adopting it? LTAD was created to improve the quality of sport and physical activity so that participants could realise their potential, whatever it may be. This article features the basics of the model, key factors and limitations. It has been adapted from Long-Term Athlete Development. What is the long-term athlete development? The original driving force for Balyi and Way’s LTAD model was to improve the quality of sport programmes. The idea was to enable all participants to reach their full potential. What needs to be done at each stage of human development to give every child the best chance of engaging in lifelong, health-enhancing physical activity? And for those with drive and talent, the best chance of athletic success? Effective long-term athlete development focuses on what’s best for the participant throughout their life. Rather than short-term gains and early success. The aim of the model is to address any shortcomings and resulting consequences that hinder the current system. As well as providing positive experiences for all participants. LTAD focuses on the needs of participants and their individual stages of development. It also provides a point of reference for coaches, administrators, parents and sport scientists. The model recognises both participation and performance-orientated pathways in sport and physical activity. It also comes after the fun-based development of physical literacy in the early years. The framework also provides guidance to improve the quality of sport and physical activity by helping children become physically literate. Athletes under the LTAD model experience developmentally appropriate training and competition programmes at all ages. This increases their participation and optimises performance. People also develop physical literacy during the first three stages of LTAD. This allows them to move on to the later stages (Figure 1.3). The model also recognises that people go through stages of growth and development from birth to death. At any stage, a range of physical, psychological, social and environmental factors can affect the ability to participate, train and compete in physical activity. Any organisation interested in using the LTAD model in their programming should use these factors to teach parents, coaches, administrators and participants about the benefits of the model. We’ve detailed each factor below. A much talked about topic in physical education and sport, physical literacy is key to the LTAD model. It focuses on mastering basic human movements, fundamental movement skills and foundational sport skills. It supports long-term participation and performance to the best of an individual’s ability. Physical literacy focuses on mastering basic human movements, fundamental movement skills and foundational sport skills. Physical literacy is the cornerstone of both participation and excellence in sport and physical activity. For more information on physical literacy see our article What is physical literacy and why is it so important? Specialisation in sport occurs when athletes limit their participation to a single sport. They train and compete in this sport year-round. Sports can be divided into early and late specialisation. In early specialisation sports (mostly acrobatic and artistic sports such as gymnastics, diving and figure skating) early training (by ages 5 to 7) is necessary for future excellence. However most sports are late specialisation and some even very late specialisation. Although, it’s important to remember that the time to specialise for each sport is unique. Late specialisation sports include football, hockey and basketball. Elite levels can still be mastered as along as specialisation begins between ages 12 and 15. It’s also essential that these athletes have already acquired physical literacy. For more information on maturation see our post Maturational threshold in young athletes – are we missing the point? To create optimal training and competition programmes, coaches and teachers need to be aware of the sensitive periods in which training for different body systems have optimal effects. These different body systems include stamina, strength, speed, skill and flexibility. Children develop intellectually, emotionally and morally at different rates. For every child, one or more of these factors could be advanced or still developing. This variation in the rate of development affects a child’s capacity to make decisions and deal with the strong emotions that are part of the sport experience. It’s common for children to be at different stages of their development. Therefore coaches and teachers need to be aware of how this can affect training and competition. Research has suggested a minimum of ten years of practice is needed for experts in any field to reach elite levels of performance (Ericsson et al., 1993; Ericsson et al., 2007). However, others believe that talent is based on genetics and can be nurtured at an accelerated rate. Regardless of whether a young athlete is talented, many years of training and practice are required to help them become the best in a sport. Periodisation is time management in sport. It ensures that the right kind of training is done at the right time. It sequences the training components into weeks, days and sessions. It’s also situation specific. This depends on the time available to bring about the required training and competition improvements. Competition drives actions in sport. Coaches instruct based on competitions and generally, we determine the success of things based on the outcome of competitions. Therefore designing developmentally appropriate competition is key to LTAD. Competition is one of the key factors of LTAD. 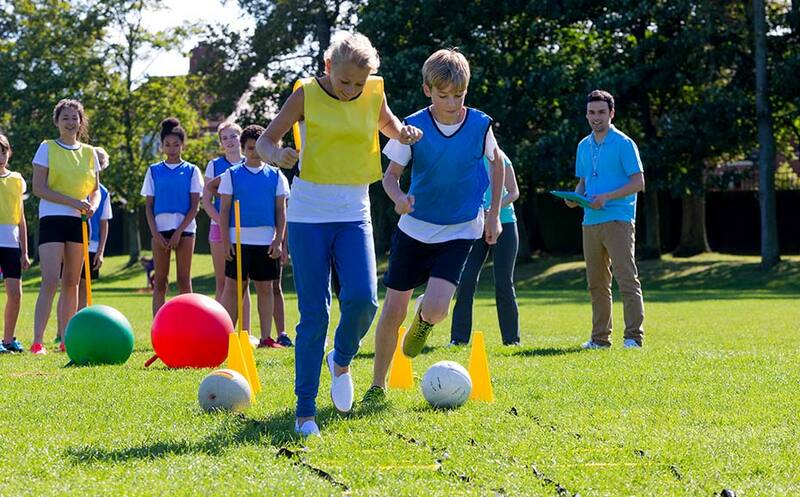 Being involved in sport and physical activity exposes participants to a variety of settings and situations that can collectively be defined as a system. System alignment from an individual’s perspective provides a guide for parents and athletes to consider as they progress through the LTAD pathway. The alignment of systems from an organisational perspective is how the four key sectors of health, education, recreation and sport interact with. LTAD is athlete centred, coach driven and administration, sport science and sponsor supported. The concept of continuous improvement, something which is key to long-term athlete development, is drawn from the Japanese philosophy known as kaizen. Kaizen can be translated as ‘improvement’ or ‘change for the better’. The world of sport and athleticism is changing all the time and for it to keep up, continuous change needs to be made. Change can be difficult, however taking no action to improve sport can result in declining participation, increased obesity and other issues. These ten factors are key, however, they’re not the only ones that influence the long-term development of athletes. Additional factors include genetic predisposition, social support for involvement and access to financial resources. All of these can have an impact on both development and performance. Therefore, it’s likely that with increasing knowledge, details of these factors will change over time. A more fundamental limitation of long-term athlete development is that very little is known about the ways various factors interact. Or, even how changes in one factor can affect another. Additionally, there is still a lot to be learned about individual variations in response to training. For example, we don’t know whether people with different genetic makeups respond differently to different types of training at different points in maturation. As this knowledge becomes available, it could change our view of the optimisation of training. Another criticism of LTAD is the lack of proof that it’s better than the ‘old’ way of developing athletes. In one way, this is true. Firstly, there is no single ‘old’ way of developing athletes. There is just an accumulation of practices and activities passed down within every sport. Secondly, no real-world experiment could ever be conducted in which young athletes are assigned to traditional or LTAD development pathways for the amount of time needed for full development. What we do understand are the many problems with the unsystematic athlete development systems currently in place. LTAD is designed to eliminate as many of those problems as possible. It’s a model that relies on face validity. The question based on what we know about children and about sport is: does it make sense? With obesity and inactivity rates still high, it’s time to act. Long-term athlete development can serve as a catalyst for improving the quality of sport by challenging the underlying beliefs and theories that have stopped it. When children enjoy activities they’re more likely to engage in them. LTAD is a guide that starts by instructing parents about the sports their children could participate in. All of us face big challenges in being and staying healthy. However, this model is a tool everyone can use to improve the quality of sport and physical activity. Using the key factors outlined coaches, teachers and parents can develop physically literate children, world-class athletes and healthy, active people for life. Hi, I’m Hannah, marketing assistant and one of the bloggers here at Human Kinetics Europe. I wasn’t blessed with the coordination to play most sports, but that’s not stopped me becoming a great watcher of them. Particularly when it comes to football! So I’m here to bring you all you need to know about exciting new product releases and the latest in sport, fitness and PE.